BSNL Board Director (CM) Sri Anupam Srivastava said in a press release that company has the cheapest 3G mobile internet plans as compared to all other mobile operators in the market. The press release further said that BSNL is charging data usage at the rate of 1p/10KB for its postpaid subscribers while prepaid customers pays 2p/10KB only and these rates are cheapest among all mobile operators in Indian telecom market. Other private mobile operators have hiked mobile internet charges by 100% but BSNL is offering data plans at its old tariff with free national roaming and without any hidden charges. BSNL still have 1GB 3G data STV at Rs 139 for its prepaid customers which come with validity of 20 days. BSNL has annual 3G data tariff plans at Rs 1251, Rs2299 and Rs 3299 which offers 9GB data, 18GB data and 30GB data with 1 Year validity. The company has introduced many affordable and cheapest 3G data special tariff vouchers (STVs) for its prepaid customers at Rs 176 and Rs 251 which offers 1GB and 2GB respectively with 30 days validity. 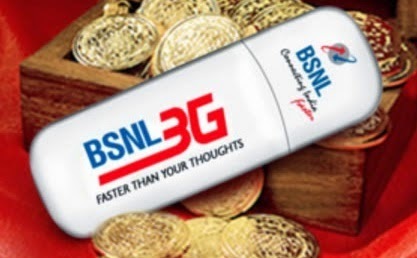 Dear readers, how many of you are currently using BSNL 3G? Are you satisfied with its performance? Just compare the 3G data plans offered by your current operator with BSNL 3G Data offers.